What if suddenly the temperature drops again and it feels like winter again? 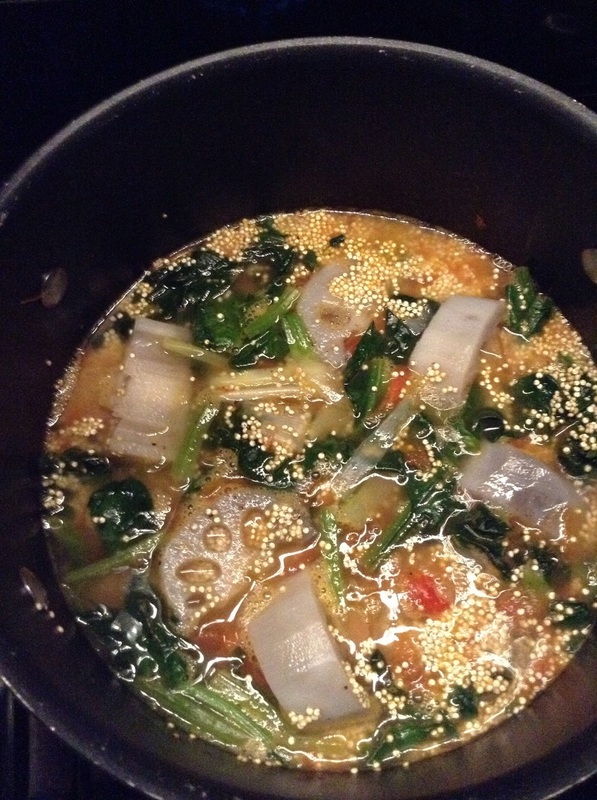 Nothing as simple as a making a quinoa soup! I've spotted the recipe the very first time I was browsing my vegetarian cookbook received for Xmas, and didn't had a chance to make it before: no quinoa, not the proper veggies, to warm... But last night was perfect. The recipe is extremely simple, and it takes very little time to prepare because quinoa cooks really quick, so that makes a perfect option for days at work. Of course I slightly changed the original recipe because I didn't have potatoes and i found anyway that potatoes+quinoa was a little to much, so I replaced the potatoes by lotus root. 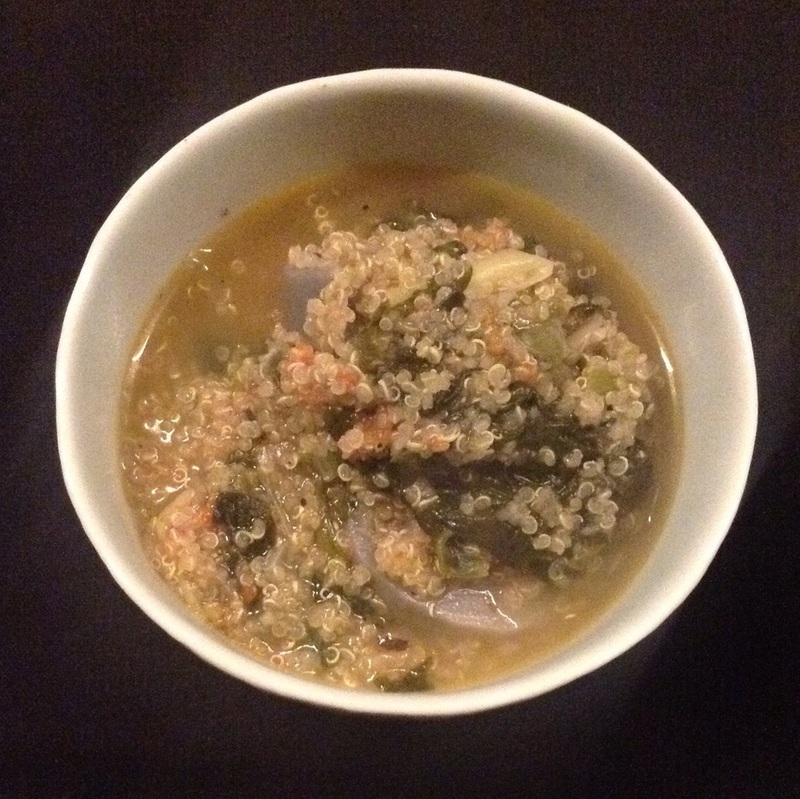 For this quinoa soup for a full dinner for 2 you need: 90g of quinoa; 1 tomato; 1 little leek or half onion; a handful of fresh spinach; 2 potatoes or the equivalent of lotus root; salt, pepper. In a pan heat a bit of oil, chop the onion or the leek and throw them in the pan, add the tomato diced, then the spinach washed and roughly cut and finally the potato or lotus root, cut in big chunks. Finish with the quinoa. add water to cover the whole ingredients and add an other 2cm. Add a bit of salt and pepper, and cook for 20min under cover. Serve while hot. I thought about adding an egg at the end of the cooking, but then realized that it was already well enough energetic, so finally didn't.